Adventure is defined by a certain amount of unpredictability and unknown. It should also enhance senses and stimulate adrenaline. 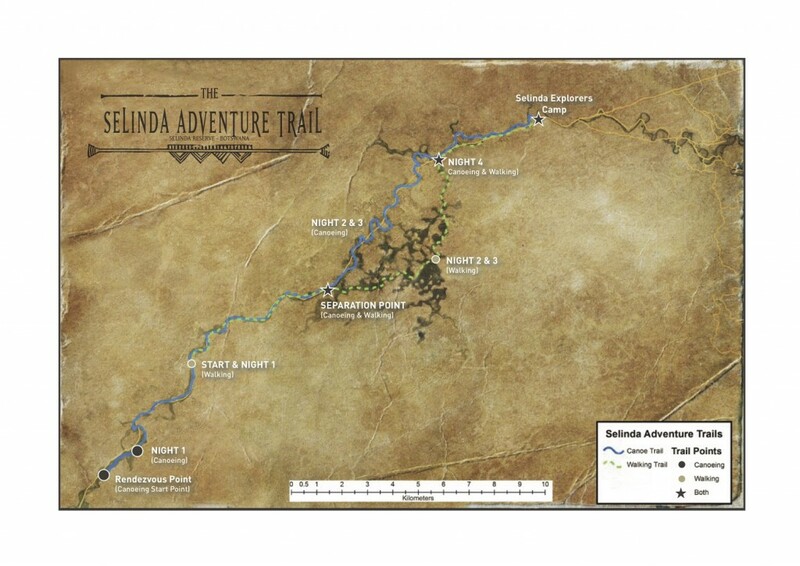 The new 5 days/4 nights (click to view) Selinda Adventure Trail embodies this definition entirely: The itinerary primarily dictated by water levels in the Selinda Spillway, a seasonally flooded channel that connects the Okavango River to the west and the Linyanti Swamps to the east. When the Spillway has low water, or dry, we will operate a professionally guided walking safari; and when there is enough water we will offer a combination walking and canoeing expedition (formerly the Selinda Canoe Trail). Secondary effects to the itinerary route often depends on wildlife movements. 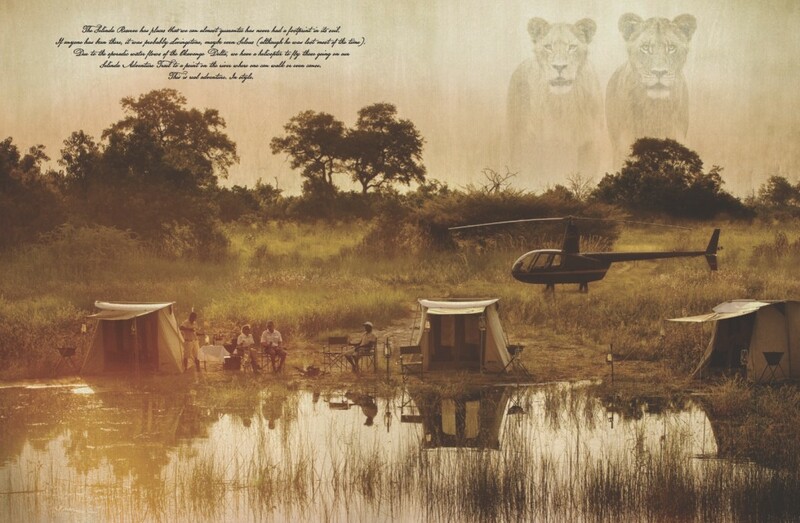 The adventure for both experiences start with a thrilling 20 minute helicopter journey to the remote starting points in the vast 320,000 acre Selinda Reserve, giving an aerial perspective of the Selinda Spillway and the myriad of channels and lagoons that branch off it creating clearings in the pristine woodland. Call it ‘heli-walking’, ‘heli-stalking’ or ‘heli-canoeing’ if you like. The unpredictable nature of the floods means that your guests won’t know before they board the helicopter from the Selinda Reserve airstrip whether they will be doing the pure-walking safari or the combination walking and canoeing expedition. Be prepared to walk, regardless of whether the Spillway is dry or in flood. The 2016 season will operate 20 May to 11 October and in 2017 season from 02 April to 23 September. Download 2016 rates and departure dates here. 2017 rates, with Selinda Adventure Trail dates, will be sent shortly.